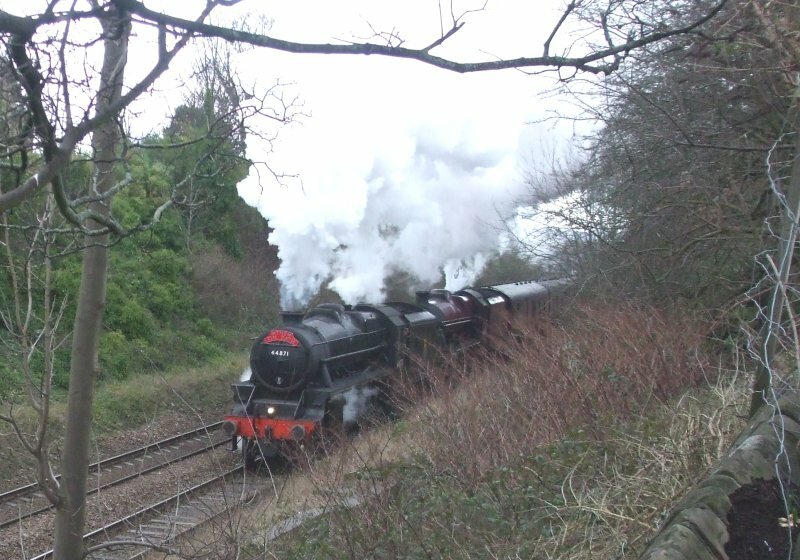 Anne Hewland captured these images as The Tin Bath paused at Brighouse on 14 February 2016. 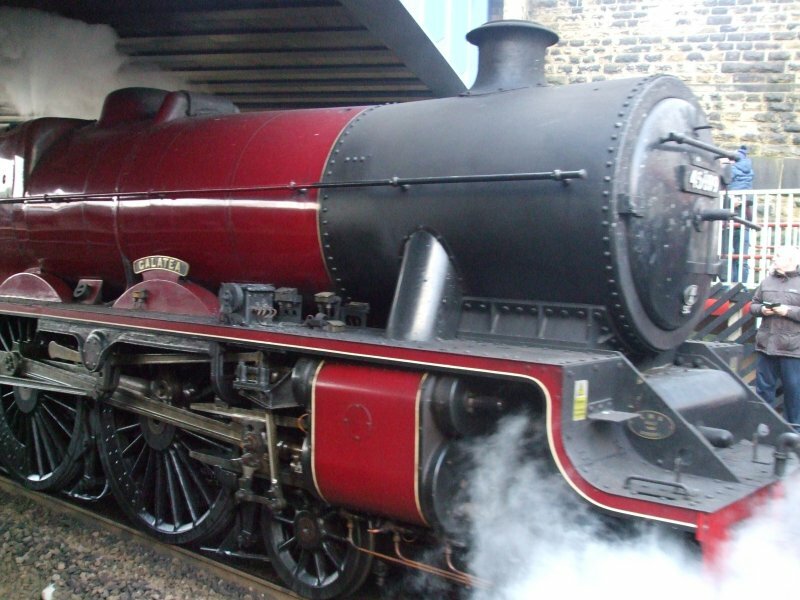 LMS Jubilee 'Galatea' stands in the new Brighouse station. 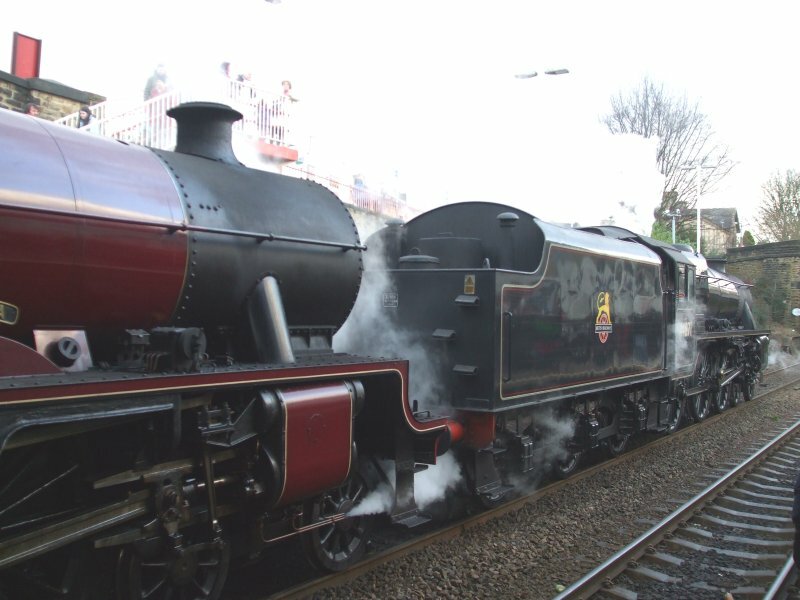 LMS Stanier Jubilee 'Galatea' and Black 5 44781 ready to depart northwards from Brighouse Station on 14 February 2016. 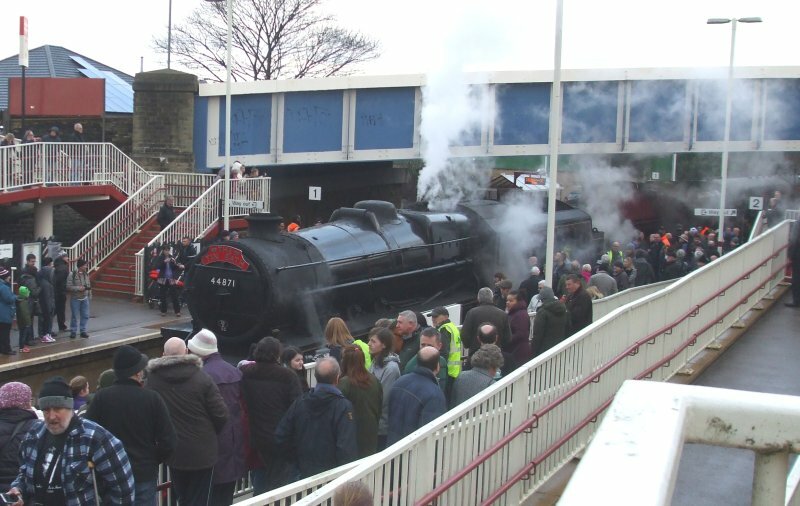 44871 heads the Tin Bath at Brighouse on Sunday 14 February 2016. 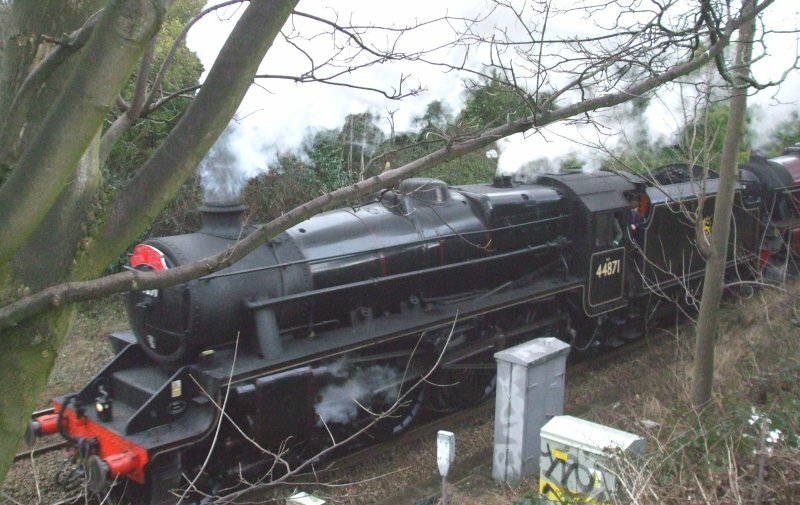 44871 and Jubilee 'Galatea' under way after stopping at Brighouse on 14 February 2016. The 'Nodding Donkey' video offers a unique view from the train, starting just before Hall Royd Junction and recording the journey all the way to the summit.